Internet Message Board Acquires Alternative Weekly Newspaper, Adds News Anchor Fresh Off Sexting Scandal. 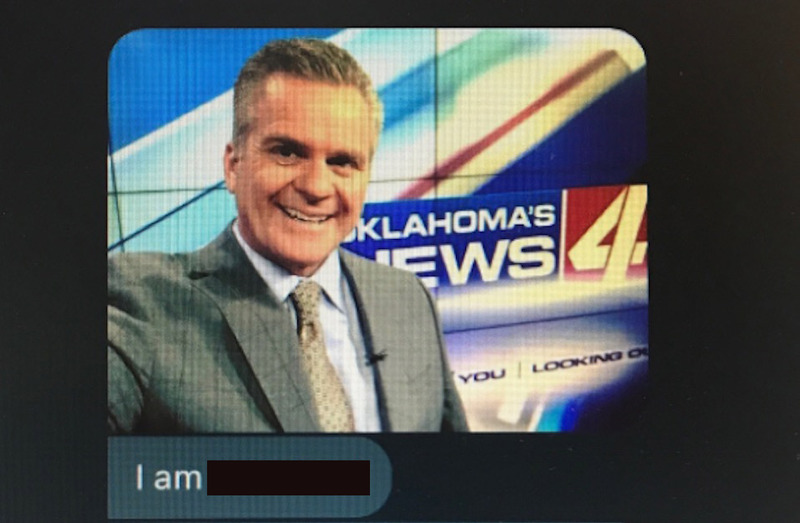 Okay, in all fairness, OKC Talk is more than a message board, in the same way that The Lost Ogle is more than a blog and John TV is more than a fetish website. Those internet roots can sometimes be hard to shake. 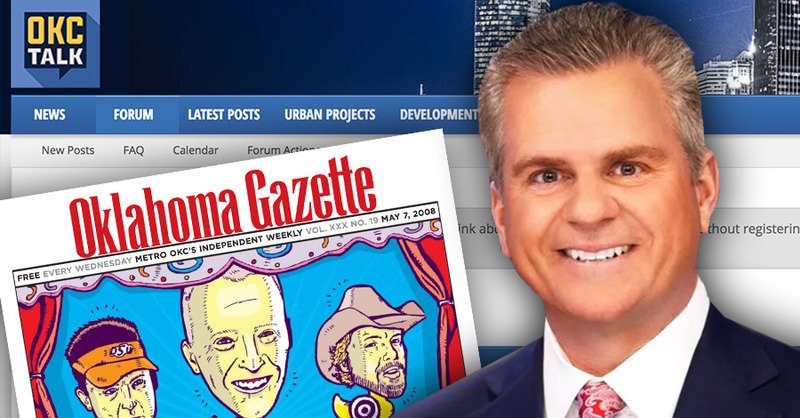 Anyway, news came out yesterday that an investment group formed by Pete Brzycki, the publisher of OKC Talk, acquired the Oklahoma Gazette and it’s valuable Edgar Cruz ad account from Bill Bleakley and Linda Meoli. Terms of the deal were not released. Contracts were signed today finalizing local business and civic news site OKCTalk.com’s acquisition of Tierra Media Group, the parent company of Oklahoma Gazette. The independent weekly newspaper’s founder and publisher for 40 years, Bill Bleakley, passes control of Gazette to Peter J. Brzycki, who will serve as publisher of both entities. Kudos to Lance for landing on his feet and everything, but isn’t this kind of fast? Like, shouldn’t he still be mending broken trust or something? I figured he’d ease back into public life by appearing in car commercials with Meg Alexander, but now he’s going to be reporting live from the new Costco ribbon cutting. Let’s just hope Pete disables the camera on Lance’s iPhone. According to sources, West is to be the OKC Talk / Gazette version of NewsOK.com’s Dave Morris. I think that was intended to be a compliment. In other news, I am proud to announce that The Lost Ogle has hired Jack Bowen to be our version of Wimgo Wendy. Anyway, I’m still not 100% sure what to think about all this. On a personal note, I think it’s really cool. I like all the people involved and wish them the best of luck. Oklahoma actually has a pretty strong independent online media scene, and adding The Gazette to the mix should make it better for everyone. It will be interesting to see what direction Pete takes things. Will next week’s big Gazette cover story be that Great Wolf Lodge is considering an Oklahoma location? Will he give Midtowner his own back page column? I guess we’ll have to wait and see. In all seriousness, congrats to Pete. Hopefully this works out, and then he can buy us (or The Oklahoman) next. Have always liked Lance. Glad he is staying in our area. I spit out my tea on the Edgar Cruz line. So will they hire Louis away from you? Clearly they need a real food critic. I mean using their reviews there’s not a bad cafe, restaurant or greasy spoon in Oklahoma. The only negative comment on the Church’s Chicken in west OKC was slow service. Which wasn’t anything new since it had closed three years before the review. Oh please, Jacob Threadgill is about 1000% better than Greg Elwell, the previous food writer not sure what you’re on about unless you haven”t read the Gazette in about a year or so (which is when Threadgill came on board). Threadgill actually cooks and bakes and knows food, whereas Elwell was just so dumbed-down it was pathetic, it was like reading Jean Teasdale in The Onion – I could not make it through one of his reviews and eventually just gave up on reading anything by him. During his tenure and before, the Gazette explicitly said they don’t do negative reviews, but that disclaimer is no longer present and Threadgill has negative things in his reviews at times, he tells it like it is, and in greater detail than has ever been done in the Gazette’s history, I believe. Best thing to happen to the Gazette in years, until Pete bought it, then that turned into the best thing to happen to them. Read his articles at https://www.okgazette.com/author/jacob-threadgill and see if they match up with what’s in your head about their reviews (don’t believe I’ve ever read a review of Church’s by Threadgill and judging by google’s indexing, he never has). Thanks for your input, Jacob … I mean, Brian. Will Midtowners oversized ego fit on the back page? That’s the billion dollar question.